On 14.06.2013 the German parliament adopted new legislation transposing the European Union’s directive on consumer rights. 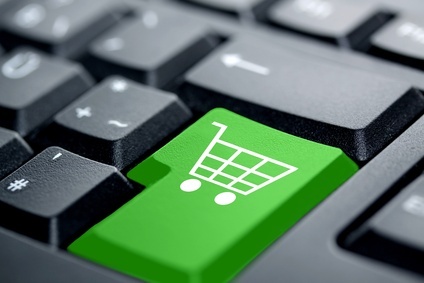 The directive is designed to improve e-commerce and consumer rights. Here is an overview of the main provisions. The EU’s directive on consumer rights came into force on 22 November 2011. The aim of the directive is to strengthen the single market by harmonising member states’ legislation on consumer rights. The new provisions adopted in Germany transpose the directive and will apply to consumer-trader contracts concluded after 13 June 2014. Under the new legislation consumers will have the right to withdraw from distance contracts, including transactions concluded over the internet or by telephone. Consumers will have 14 days from receipt of the goods to exercise this right. The legislation contains a model withdrawal form which consumers may use in order to notify traders of the decision to withdraw. Alternatively consumers may withdraw from the transaction after giving the trader an unequivocal statement. Such statements can be given over the telephone, by e-mail or by letter. Consumers also have a right of withdrawal from transactions involving downloadable digital products. However, this right is lost once the transfer of data has commenced, provided the consumer gave prior express consent and acknowledged that the loss of the right of withdrawal would occur. Under the new rules, where consumers receive incorrect information concerning the right of withdrawal, the deadline for exercising the right to withdraw from a transaction is extended to one year from the end of the initial 14 day period. This places German traders in a much better position as there is currently no time limit in Germany for exercising the right to withdraw in cases where traders provide incorrect information. There are also certain exceptions to the right to withdraw including: “sealed goods which are not suitable for return due to health protection or hygiene reasons and which were unsealed after delivery”. It remains to be seen how the case law will interpret this point. In general, the cost of delivering a product rests with the trader. However, under the new legislation, traders are permitted to charge consumers for the cost of returning products, regardless of the price of the product, provided the consumer is sufficiently informed. With this new rule, the complicated position under previous German law where consumers carried the costs of returning products with a value of less than €40 has been abolished. The new provisions set out clear rules on the rescission of contracts. Where consumers withdraw from a contract, traders must reimburse all payments received without delay and in any event no later than 14 days from the day on which the trader receives the consumer’s notice of intention to withdraw. The trader may delay the reimbursement until the goods have been returned to him or until he receives evidence that the goods have been returned. Consumer protection provisions are also extended to include transactions which take place on traders’ premises. Previously information requirements applied solely to online transactions. Now, traders concluding contracts other than distance or off-premises contracts must also provide consumers with information including for example: the main characteristics of the goods, the trader’s identity, the total price of the goods inclusive of taxes and information on any legal guarantees pertaining to the quality of the goods. In the case that a delivery date is not agreed by the parties, traders will be required to deliver goods as soon as possible after they are ordered and in any event within 30 days of the contract is concluded.